Over time, an individual’s body is going to break down and internal elements are no longer able to function properly. This can take place in and around the hips, as ligaments no longer protect bones from rubbing against one another, which can wear down the bones and cause a significant amount of pain. Additionally, an individual can suffer injuries with their hips, which can make it difficult to walk or do anything with the legs as well. 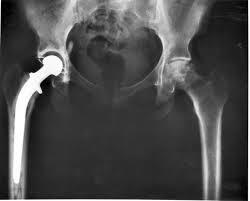 When this is the case, it is necessary to undergo a hip replacement surgery. Hip replacement surgery removes the damaged area of the hip (not necessarily the entire hip, but sections) and replaces these areas with a metal or solid plastic. The artificial joint reduces the pain and makes it easier to et around. During the procedure, the doctor makes an incision right over the front of the hip and cuts through a layer of tissue and muscle. The doctor then cuts out the damaged bone and cartilage and leaves the healthy bone in place. From there, the implant is inserted and placed into position. It also replaces the top of the femur bone with a prosthetic material, which is attached to the stem at the top of the thighbone. After surgery, the individual is able to return home once the medical staff has monitored the person to make sure their blood pressure, pulse and pain level are all in desirable levels. It is very important for an individual to try to become as active as possible after the surgery. This starts with walking around, usually with the aid of a cane or walker, until the pain reduces and strength returns to the leg. If they don’t, blood clots can develop, which requires additional medical procedures to remove the clots from the body.